Expect a blog entry or two about this typewriter. I’ve been doing quite a bit of research. Image from an eBay seller who was offering the keys only! Recently, I blogged about the Remington 333 and 666, which are Brother-made portables. I commented that I had hoped there was a 999, but found there wasn’t. Later, I discovered that there is a 700 electric, which apparently was considered part of that product line (and also the 711 and 713, which I’m supposing are just versions of the 700).1 Each has the same logo and is included in the same service manual.2 There are other models, such as 600, 611 and 612, but these have different logos, so they don’t quite make the “most wanted” list. I should note that I rarely collect electric typewriters (a 1930s Burroughs and early Underwood are exceptions), but I find the 700 compelling. In short, I like to collect thematically. Oh, and I should say that I’d like to collect additional Brother machines like the 666. The No. 2 offers an expanded keyboard of 42 keys. My collection of Monarchs includes two No. 1s (with and without ribbon selector) and one No. 3. I would like to add the No. 2 to complete the set. 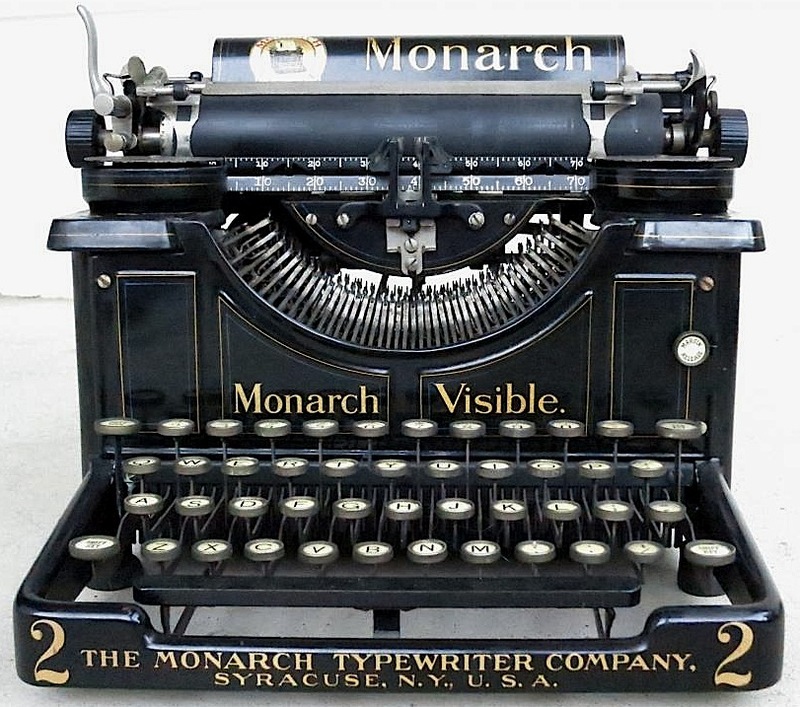 The Monarch typewriter, a product of a trust that controlled several typewriter companies, was branded variously as “Monarch,” “Remington” and “Smith Premier,” so there are almost limitless collecting possibilities. To my way of thinking, the first three models constitute the original Monarchs, before it was subsumed by Remington and, later, Smith Premier. This machine had a nearly three decade run! My reasons for wanting this machine are two-fold: one, I think it very pretty; two, a man named Johnny Cash. 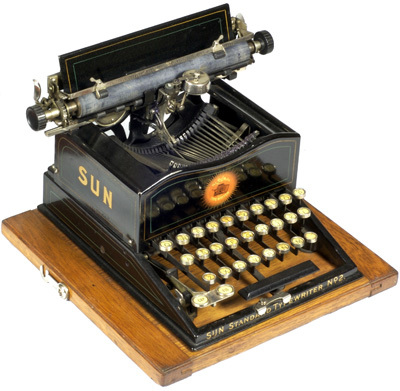 Yes, I understand there is no connection between Sun Typewriter and Sun Records, but that doesn’t stop the mental connection. I’m the proud owner of a black Molle No. 3, and I would like to own the rarer white model, and the rarer still Liberty model. 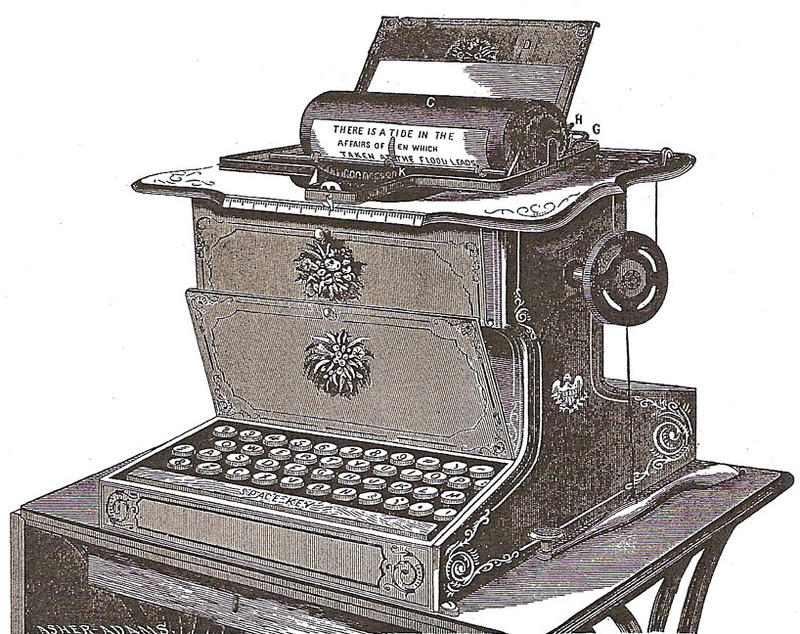 See page 90 of Darryl Rehr’s Antique Typewriters. 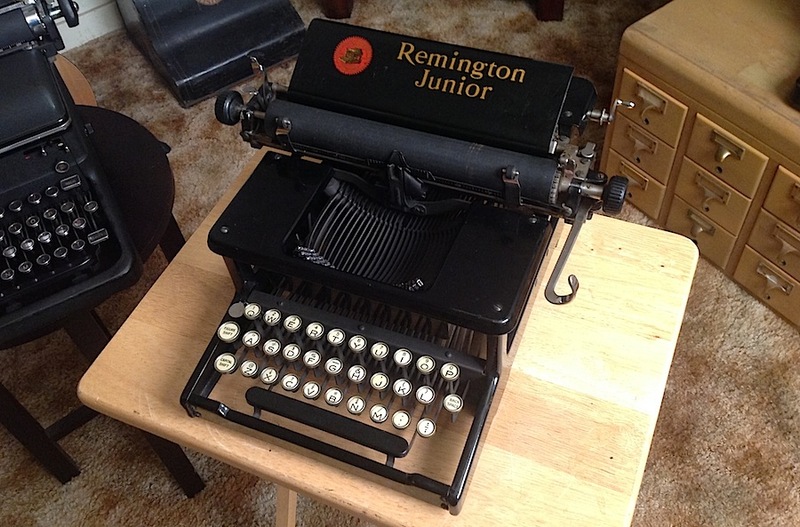 Remington manufactured only 2,882 of these typewriters, which is very much like the #3, but with a true tabulator, not a paragraph key.3 My collection of Remington portables is quite extensive, so adding this machine would help to complete it. I came close to owning one, but the eBay seller never delivered.4 Quite a miss. The fellow I bought the Remington Junior from owns a very nice Rem-Blick. Though I’m not terribly hungry to own a Blickensderfer, I very much would like to own a Rem-Blick. 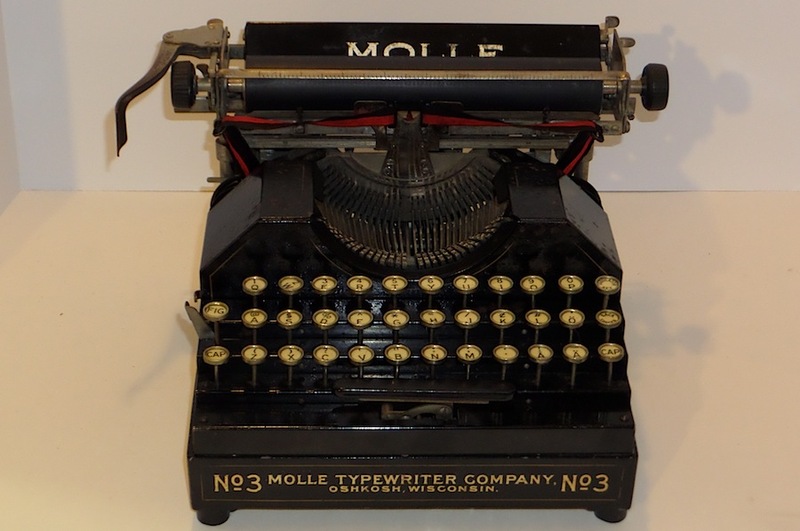 I suppose a list like this reveals a lot about a typewriter collector, so here are a few observations. I’m endlessly fond of Remingtons, I like sets, and I like quirky machines. My collection will never be complete, but I’d like to keep it unique. Sometimes assembling a set of machines, like the 333, 666 and 700 makes the ordinary extraordinary. As seen on the Typosphere blog site. © 2013 – 2018, Mark Adams. All rights reserved. Though our taste differs, we have a similar single-brand loyalty (although not absolute exclusivity) and an interest in sets. Mine’s obviously Olivetti and I have the Nizzoli-designed family of Lexikon 80, Studio 44, and Lettera 22, all Ivrea-made and all in monochrome taupe. I agree that collecting the Remington line you mention makes the ordinary extraordinary. Of course, you must display them together when you finally land that 700. I will look forward to your future post about this. An eclectic and entertaining list. Thanks for sharing your wishes, maybe this will help them come true. an ambitious list! The Brother JP-2 electric should be fun to chase down. Despite millions having been made and sold, I have never seen one in the wild. I have one Remington 700 Electric for sale – includes complete typewriter with two color ribbon, cover, original owner’s manual and best of all – the factory quality control certification document. It’s a beauty so please make an offer, thanks! See e-mail for reply. Thanks for posting. I have a Remington 700 electric, Sperry Rand. It’s for sale if you didn’t already work out a deal with Jean. Good price as well. Let me know. Deal worked about with Jean. Thanks all. Will post blog about the 700 soon. Video going up now. I’m glad things worked out for both us on the 700. It’s quite a beautiful machine. Rounds out the 333/666 set nicely. Someone should think about putting pictures to the various Brother models. Re: pictures/models: yep, that’s why I’m gathering pics of the various Model Types. I’m hoping to create a pictorial index of the Types. Re: You Remington 700 – yep, it’s definitely a JP-2. What’s the serial number?